Are you looking for gutter financing in NJ? North American Pfister Inc. has over 40 years of experience in gutter installation. We are certified to install gutters throughout all of New Jersey. Whether it is for a commercial building or a residential home, our roofing professionals have experience installing downspouts, gutters and different accessories. We can handle anything from an installation of a completely new gutter system to a reparation of a small square inch. Our goal at North American Pfister is to provide you with excellent gutters for an affordable price. Our financing for gutters is sure to benefit you in the long run. 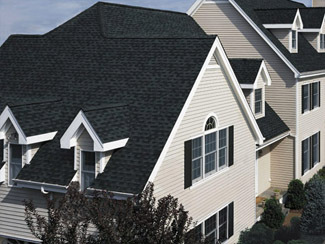 At North American Pfister, we offer a variety of gutter brands at low prices. Some of the brands we carry include RainPro and CertainTeed as well as Leaf-Guard, MicroGuard and Gutter Tunnel. We offer this variety of gutters because we understand that everyone has their own preferences. These brands are all top-of-the-line products that will last a long time. The Englert brands are clog-free, seamless and are all top choices for gutter systems. The RainPro and CertainTeed brands are both aerodynamically designed to let rainwater flow without any clogging. Each brand is slightly different in the way that water is efficiently channeled, but they are all affordable because of our gutter financing system. Gutters, though primarily used to relocate rainwater so that it does not flood around our buildings, can greatly improve the look of your home. By doing this, gutters can also increase property value down the road. Gutters are a very important part of a house and should never be forgotten or neglected. Busted and dilapidated gutters are becoming more and more of a deal-breaker for new house hunters. By taking care of your gutters now, you can greatly increase the appeal of your home. Even if you think you cannot afford gutter installation or gutter replacement, North American Pfister will work closely with you to help you finance a gutter system. This company offers customers a payment plan if they cannot pay in full on the date it is required. These payment plans, which can be set up for weekly or monthly payments, are an easier way to keep track of money. North American Pfister Inc. understands that budgets can be tight, but this should not stand in the way of installing the gutters you deserve. With our gutter financing system, our customers can have the most technologically advanced gutters at an affordable price. Even if you cannot pay right away, our payment plan ensures that you can afford these gutters. Having our gutter professionals install them can also increase property value over the years. For more information on North American Pfister Inc.'s gutter financing in NJ, call us today at (201) 794-1422. 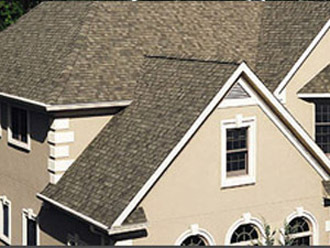 North American Pfister - Your trusted source for Gutter Financing in NJ.